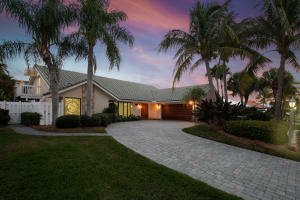 Palm Beach Lake Worth Estates is a charming neighborhood located in North Palm Beach Florida. Palm Beach Lake Worth Estates is situated on South Florida's beautiful Intracoastal Waterway and benefits from no fixed bridges and is just 5 minutes to the port of Palm Beach Inlet. Palm Beach Lake Worth Estates homes commonly feature chef’s kitchens, custom cabinetry, real hardwood garage doors, hardwood & marble flooring, boat lifts, private docks, and much more. This community is perfect for real outdoorsmen, fishermen and boaters, with views of John D MacArthur State Park, Munyon Island, and the scenic Lighthouse Park. Palm Beach Lake Worth Estates is only a few minutes away from many of the popular local attractions like miles of pristine beaches, the Gardens Mall, the brand new Palm Beach Outlets, John D. MacArthur Beach State Park, North Palm Beach Country Club, the Kravis Center and a large variety of cultural entertainment venues. North Palm Beach benefits from having busy towns like West Palm Beach, Ft. Lauderdale, and Miami that surround this unique calm little coastal town making it convenient to all of South Florida's many amenities but leaving it just far enough out of the hustle and bustle that traffic and crime are nothing to worry about. Life in North Palm Beach couldn’t get closer to living in paradise. Information in regards to North Palm Beach real estate and Palm Beach Lake Worth Estates homes for sale or other listings may have come from a cooperateive data exchange service. All rights reserved. Information deemed to be reliable but not guaranteed. The data relating to real estate for sale on this website comes in part from a cooperative data exchange program of the multiple listing service (MLS) in which this real estate firm (Broker) participates. Listing broker has attempted to offer accurate data, but buyers are advised to confirm all items. 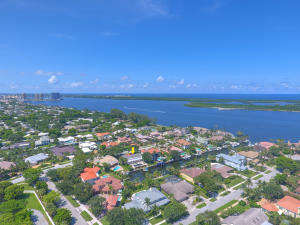 We provide all information about North Palm Beach homes for sale and Palm Beach Lake Worth Estates real estate or other listings as is with absolutely no warranties. This site will be monitored for 'scraping' and any use of search facilities of data on the site other than by a consumer looking to purchase real estate, is prohibited. Feel free to contact our agents to find a great Palm Beach Lake Worth Estates North Palm Beach specialist. Palm Beach Lake Worth Estates in North Palm Beach is really a wonderful location. The North Palm Beach location is amazing. But, if this isn't the community for you, you might like one of the other local communities like Pleasant Ridge or Seamark or Mariners Key that are located here as well.